With the OSV sector still oversupplied by some 1,550 vessels, 34 out of 38 OSV operators studied by consultancy AlixPartners face going bankrupt in the next 12 months. 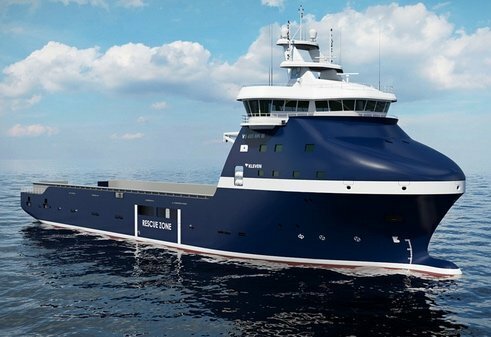 “Companies counting on a return to stability in the OSV sector are in for a rude awakening; industry must act quickly to reduce costs and debt levels to survive,” the study stated in its introduction. 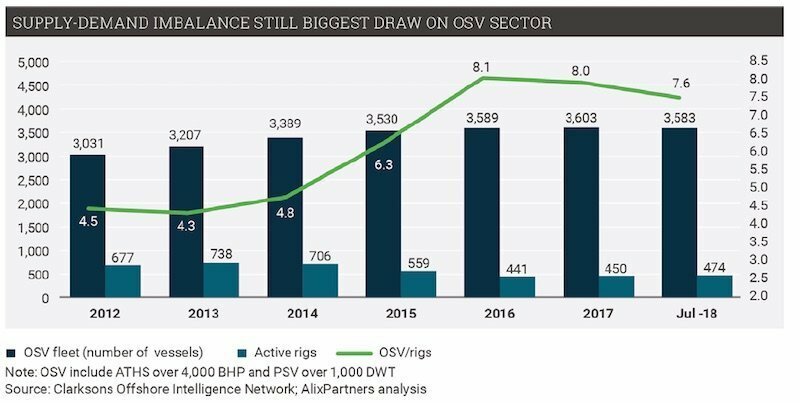 Despite the rise in oil prices, AlixPartners maintained that companies hoping for a dramatic rebound in OSV vessel demand are playing a “dangerous waiting game”, as their existing financial resources are likely not enough to sustain them through the current environment. According to the AlixPartners analysis, 34 of 38 companies had Altman-Z scores of less than 1.8, indicating a high likelihood of bankruptcy in the next 12 months. The Z-score, first created by a professor in New York in 1968, uses multiple corporate income and balance sheet values to measure the financial health of a company. The two factors that drive revenue for OSV companies remain offshore rig utilisation and day rates. The number of active offshore rigs is 33% lower than 2014 levels, declining to 474 in July 2018 from 706 in 2014. OSV day rates are 40% lower than in 2014. “Companies need to be disciplined about capacity management and do everything they can to to reduce costs and increase operational efficiency”. Priceless insight. I wonder why no one thought of this 4 years ago.